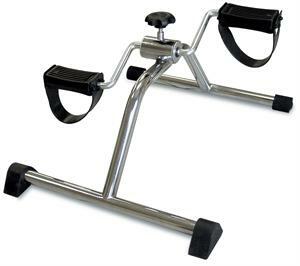 Bi-directional portable lower and upper body exerciser. Wide stance and rubber feet help keep exerciser stable even when patient has little muscle control. Use wrap around adjustable straps to secure feet or arms.